Amazing. I’ve never seen anything like it. 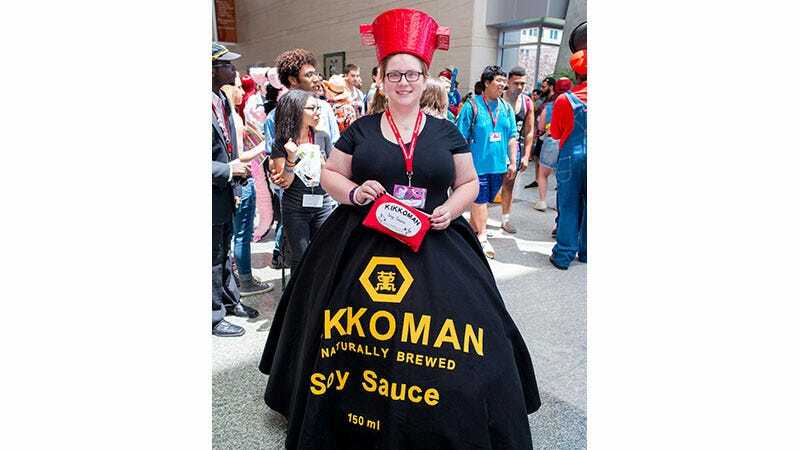 Who cares if it’s not a fictional character: cosplay is 100% about fandom, and who isn’t a fan of soy sauce? Photo by Mark Clifton, taken at Animazement 19. Cosplayer is Katie Cunningham.